America has a long history of military members who have shown extraordinary courage, with many willingly giving their lives to secure the freedoms our nation enjoys, freedoms we often take for granted. On Memorial Day (originally known as Decoration Day) we honor the sacrifice of these brave men and women. World War II (1941-1945) was an especially deadly war, with over 400,000 Americans being killed in famous military engagements such as the Battle of the Bulge and D-Day as well as in many otherlesser known battles. Each life lost, whether in a major or an obscure battle, helped win peace and end tyranny. There were many heroes in that war, sung and unsung. Later in the war at the Battle of Iwo Jima(February 19-March 26, 1945), Basilone came ashore with the first wave of Marines. Shortly after landing, his unit was trapped by machine guns from Japanese blockhouses. Basilone worked his way around one of these blockhouses and single-handedly destroyed it. Later, as he was making his way towards an airfield, he came across an American tank trapped in a minefield. While under fire, he guidedthe tank out of the minefield and to safety. He was later killed by flying shrapnel. Basilone was awarded the Navy Cross for his courageous actions during the battle. There are many additional stories of heroic and noble acts by American soldiers throughout our history. This Memorial Day as we remember the military members who lost their lives in battle, let us honor the courage they showed. Like the Father, Jesus is God. He always was, always is, and always will be. But unlike the Father, Jesus is also a human being. Though charged with blasphemy and crucified for claiming to be one with the Father, Jesus' resurrection validates his claim to be God's Son in a unique way. When we confess our belief that Jesus is the Son of God, we share in the love the Father has for the Son, becoming adopted children of God. Though Jesus was the Son of God, he was also the Son of Man, a title that emphasizes both his lowliness and his eventual dominion. Near the end of his life, when the high priest asked him whether he was the Son of God, Jesus no longer avoided the title but said that he would one day "see the Son of Man sitting at the right hand of the Mighty One and coming on the clouds of heaven" (Matthew 26:64). When you pray to Jesus as Son of God and Son of Man, you are praying to the One who is your Brother and your Lord. In the same way the chief priests, the teachers of the law and the elders mocked him. "He saved others," they said, "but he can't save himself! He's the King of Israel! Let him come down now from the cross, and we will believe in him. He trusts in God. Let God rescue him now if he wants him, for he said, ‘I am the Son of God. . . .' " And when Jesus had cried out again in a loud voice, he gave up his spirit. Reflect On: Matthew 27:41 - 54 and Deuteronomy 33:27. Praise God: For sending his beloved Son. Offer Thanks: Because God considers you his child. Confess: Your faith in Jesus as the Son of God. Ask God: To deepen your sense of being his son or his daughter. Have you ever played a game in which you let yourself fall backward into someone else's arms? It's difficult not to hedge your bets, not to sneak a look around to see whether the other person stands ready to catch you. Now imagine a more difficult challenge. This time you stand with your back toward an open grave and your task is to fall backwards into it. Your friend has assured you he will be there to catch you as you fall. The success of this venture depends on two things: your trust and your friend's ability to keep his promise. Didn't you know I had to be in my Father's house? Father, protect them by the power of your name. Father, I want those you have given me to be with me where I am. Abba, Father, everything is possible for you. Jesus was crucified for one thing — for claiming to be God's Son. So it is interesting to note that when the earth shook at the moment of his death — the exact moment when the Son, falling into the grave, had need of his Abba's all-powerful arms to raise him up — the centurion and those with him guarding Jesus exclaimed in terror: "Surely he was the Son of God!" (Matthew 27:54). Abba, a word derived from baby language to describe Almighty God! A word that would have sounded shocking to pious Jews! This is how Jesus expressed his relationship with Yahweh — as my Daddy, my Dear Father. It is the way he wants all of his followers to think of God. "Because you are sons, God sent the Spirit of his Son into our hearts, the Spirit who calls out, ‘Abba, Father' " (Galatians 4:6). Your Father knows what you need before you ask him. This, then, is how you should pray: "Our Father in heaven, hallowed be your name." How much more will your Father in heaven give good gifts to those who ask him! If you forgive others when they sin against you, your heavenly Father will also forgive you. It is your Father's good pleasure to give you the kingdom. Because of what Jesus our Brother has done for us, we too have become children of God. As his sons and daughters, we can be absolutely confident that underneath our deepest griefs will always be the everlasting, ever-loving arms of God our heavenly Father. 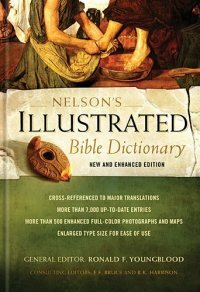 Nelson's Illustrated Bible Dictionary: New and Enhanced Edition is a delightful update to it predecessor. I love the ‘How to use this dictionary’ in Bible Study section at the beginning of the book. It provides a guide on how to use the vast amount of resources included within. If you are unfamiliar with using a Bible dictionary it can be confusing and a little intimidating. If a Christian believer can only have three books, they should include a good cross-reference Bible, a comprehensive concordance and a good Bible dictionary. With these you can understand the Bible for your self and family, teach a Sunday school class or proclaim the good news publicly. 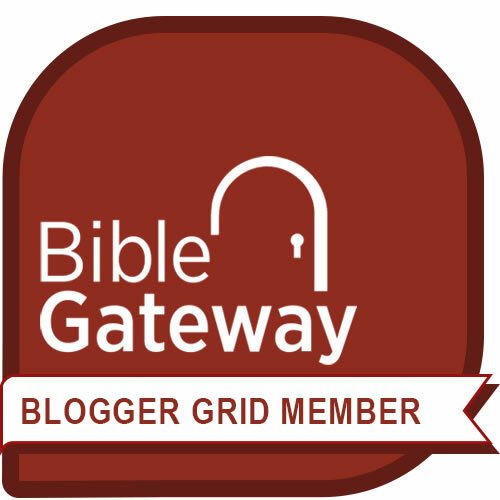 When you compare the structure and content of this new and updated bible dictionary with others on the market today it stands out as one of the best. I have personally spent many hours comparing them and appreciate the fact that Book Look Bloggers provided me with a review copy of this one. 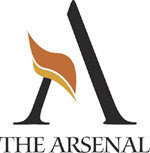 This is a great and invaluable resource. Get yours today!